* Payment plans cannot be used or combined with insurance coverage. Choose from one of the eligible Auto CPAP machines above.You can also place your order by phone by calling (866) 564-2252. 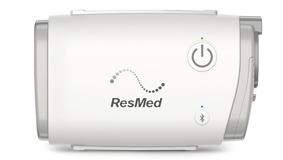 Indicate whether you need a new Prescription for your CPAP. Under "NEED AN RX? ", choose "Yes, Add CPAPRX" if you no longer have a copy of your prescription to send us. If you do have a current prescription, please email it to [email protected] or click here for other options. Check your E-Mail. Once the first two steps are complete, you will receive an email which contains your Payment Plan Agreement as well as instructions about how to sign it using a computer or tablet. Check your mailbox. Your new Auto CPAP machine will be shipped to you ready for use!